I’m “supposed” to be working on my middle-grade revisions, but am having a hard time getting motivated. As in, I haven’t touched it at all today. Instead, I took some photos of visitors to the new feeder location and realized it’ll be a whole new learning experience due to the lighting differences. The feeder used to be sheltered by the branches and leaves of the maple tree. Now the feeder is exposed on a slope where the afternoon light hits it hard. 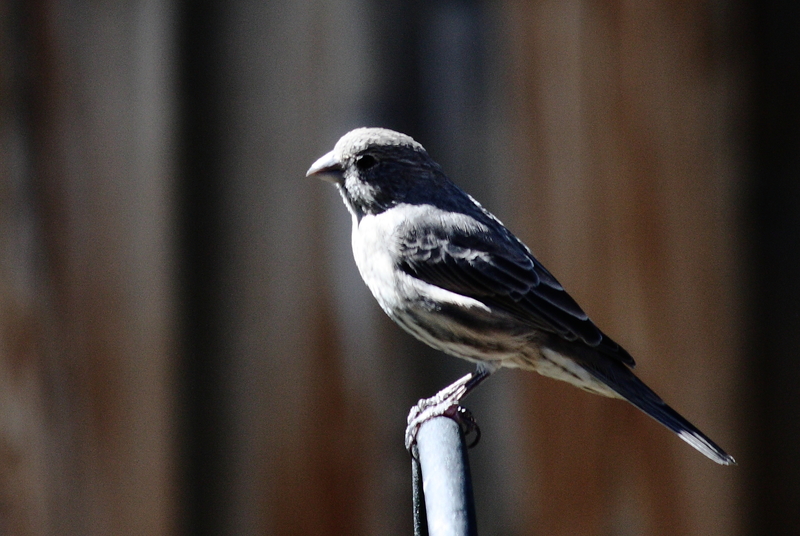 My feathered friends’ photos ended up washed out, and I just spent a while playing with contrast, white balance, etc. settings. All that time playing with settings, you’d think I’d have something more impressive to show for it. Guess I need to get on those revisions so I actually accomplish something today.